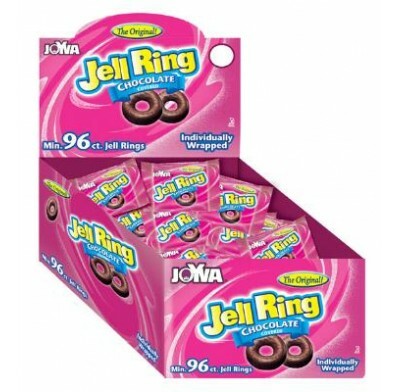 Jelly Rings Raspberry (Changemaker 96ct.) 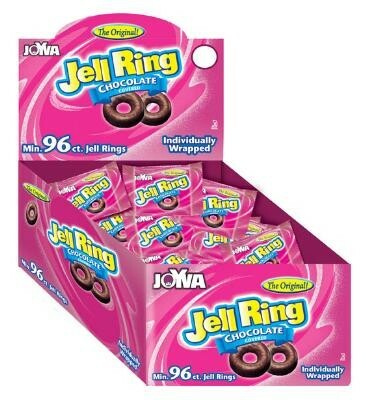 from Joyva, individually wrapped chocolate covered raspberry flavor jell rings. Makes a perfect treat for any special occasion. Kosher Parve. 96 individually wrapped candies in each box.